From last year, West Bengal State Technical Education Board (WBSCTE) start online counselling process for admission on Polytechnic courses through JEXPO examination. 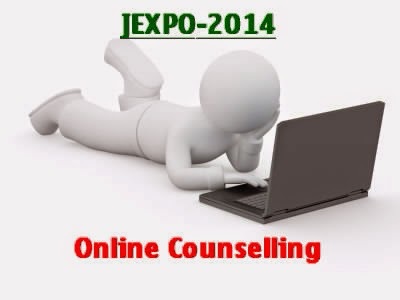 This year JEXPO-2014 counselling will done online. After publication of result the Board published the notice, that the counselling process for admission on Polytechnic courses will done by online computerized software. Online counselling process will start for JEXPO-2014 from 18th June, 2014. Students who appeared fro JEXPO-2014 examination and passed with a valid rank, are eligible for JEXPO-2014 online counselling. For admission on various government and private engineering colleges for diploma courses this counselling will be done. Online Registration for choice filling for admission to the 1st year for JEXPO-2014 of diploma courses will start for 18th June, 2014 and continue to 25th June, 2014. Online counselling website is, www.wbscte.net. It is the official website of West Bengal State Technical Education Board. Online Counselling merit list will be geared through online by computerized software for admission on 1st year of 3 years Diploma courses in Engineering, Technology & Architecture on various Government, Government Sponsored or Private colleges. For online counselling, candidates must Register online on the portal, www.wbscte.net. After register yourself you must pay the counselling fees. And after paying the fees students can chose their colleges with various trade. Students can download choice filling form and select their expected colleges with expected trade/stream and upload it carefully after verification. Online Registration process will start from 18/06/2014 and still continue to 25/06/2014. After complete the registration process, merit list will generated by computer and publishe. If students get his expected college than he/she can go to the college with other documents after publication of merit-list and took admission. The admission fees is not mention yet. Students who are get a rank on JEXPO-2014 only, they can apply for counselling. For JEXPO-2014 counseling eligibility candidates must have valid ranks allowed 1 to 60,000 general ranks. *** JEXPO-2015 Online counselling information and procedure with latest update, click here to know more. More information will update soon. For get more info please Subscribe us. keep visiting for update. This is a temporary information notice, details notice will published soon. Hello Subhojit, your jexpo rank is not so good. Get chance to government polytechnic colleges with is rank is quite impossible. You can go for private colleges with some good trade. Plzzzzzzzz information and jexpo 2015 ki vabe select hoi exam dya kato rank korta hoi…..
Computer Science Engineering, Mechanical Engineering,Electrical Engineering, Civil Engineering, Chemical Engineering to Govt & Top Private College. Contact :7384355888…… solve your problems. Hello friend, the online registration for jexpo counselling is http://www.wbscte.net . You may visit that site and register yourself for online counselling. Ekhon teke toh kono Option tik tak matoh Boja jacche naa….